We all know about shopping the bulk spice department of local markets, right? You can buy your spices for a fraction of the price of those small vials in the baking section of your local supermarket, if you scoop out what you need from bulk containers. You can also buy large canisters from warehouse clubs and restaurant supplies. These are a tremendous deal, as well. I have another favorite place to buy some of my spices. And this is very time applicable, right now, with Cinco de Mayo just around the corner. Cellophane pouches of herbs and spices are about $1 or $2 cheaper than even the large-size, (10-14 ounce) commercial canisters sold at warehouse clubs. Some of my favorite spices are available, sold in pouches, not containers, in the Hispanic section of stores (wholesalers as well as grocery stores), AND in local Hispanic markets, AND online at sites like Amazon.com. When we're driving around our own towns, we often don't notice the variety of ethnic markets lining the sides of highways and major streets. But take a look. You don't need to live in an "ethnic" section of town to have ethnic markets nearby. In our area, we have Hispanic and Korean markets. These stores are much smaller than traditional grocery stores, so often just go unnoticed. But also, your own grocery store has a section with foods and ingredients from other cuisines. In the Hispanic section, you'll often find these pouches of certain spices. Dried peppers, cayenne pepper, garlic granules, cumin, oregano, cinnamon, etc. Can I tell you a little secret? One of these brands, El Guapo, is owned by McCormick. That's right, McCormick & Co stands behind the El Guapo brand. 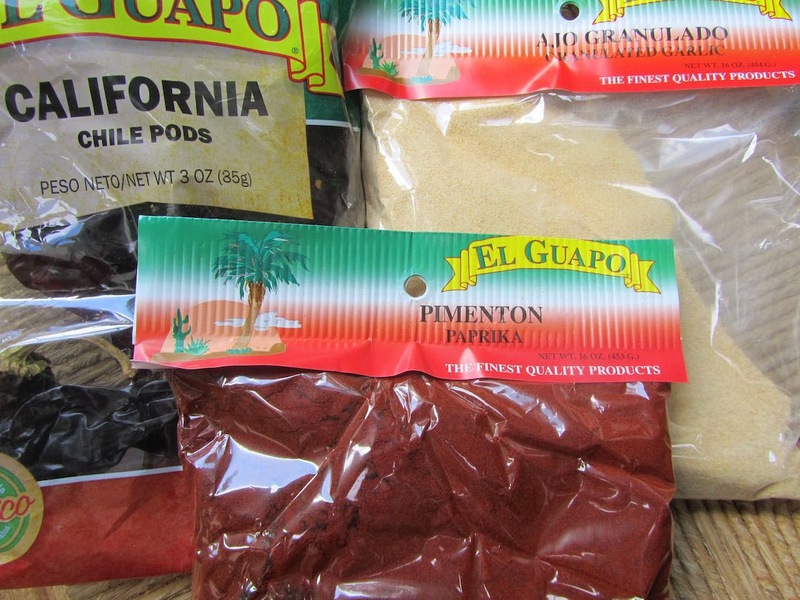 El Guapo has an extensive line of individual herbs and spices as well as spice blends, from spearmint leaves, oregano, cumin and cinnamon sticks to curry powder, chili powder, and Menudo spice mix (Menudo is a soup, but this mix is also excellent for making carne asada). All of these are sold in cellophane pouches, for a dollar or two cheaper per pound, than even the warehouse store 10 to 16 ounce canisters (which are a great deal in themselves). You need your own canister, once you get these home. But a canning jar works, so does an olive jar (those tall slim jars). In a pinch, I've transferred contents to freezer bags. When I've thought the pouches looked too big to use in about a year, I simply repackaged some, to store in the freezer. I've found that herbs and spices don't often go "bad" in a year or two, as much as they lose their potency. I buy spices in 16-oz containers and bags from our wholesaler. 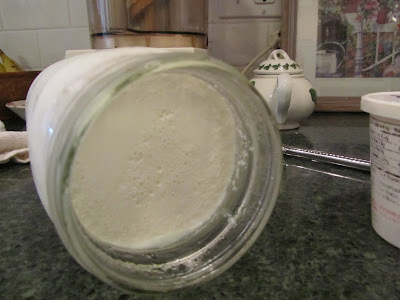 I repackage 2/3 for the freezer, and pour the other 1/3 into a canister for the kitchen. My spices have kept their potency for a few years at a time, this way. But local Hispanic markets, your grocery store and Amazon also carry El Guapo (and other ethnic brands) in smaller household sizes that you may be accustomed to, like just a couple of ounces per item. What do I buy in El Guapo packets? Well, this week, Cash & Carry has their selection of El Guapo on sale, for Cinco de Mayo. Yesterday, I picked up paprika, garlic granules and dried peppers (my enchilada sauce recipe starts with dried peppers). My price for these items, on sale, was about half the price of the commercial-size canisters of the same ingredients, also sold at Cash & Carry. Especially this weekend, with Cinco de Mayo on Tuesday, this is a good time to check your local grocery store (could be running a sale on Mexi ingredients). I have done that for a spice company when I wanted to buy bulk gelatin and saffron. I have also found in Marshall's (many times reduced) large packages of organic ,fair trade spices from a company I purchase elsewhere. A friend gifted me small jars that she had received Epicure spices in, the labels were tedious to take off but what a pretty jar. I have passed onto friends and family portions of the large bag of spices this way. Yes on the ethnic aisle, the beans I recently have purchased were less expensive than their counterparts in the store brand isle. The very large bag of bay leaves for .59 cents floored me when I purchased it. I have a regular teller at the grocery store who I speak to when checking out. She is from the West Indies and we swap stories of what the sale items are that week and where to find them.She sees what I buy and alerts me to what other shoppers have found for deals. Those jars that your friend gave to you sound lovely. Yes, on the beans. I've also seen 2 and 4 lb bags of pintos in the ethnic aisle selling for a lot less per pound than the pinto beans in the "regular" bean aisle. That's an amazing price on the bay leaves. I'll make sure to check our stores for those when I run out! I have seen some good deals at Marshall's as well, in the gourmet foods dept especially with organic products, like you said. The herbs, maple syrup, coffee and tea. Real maple syrup is so expensive where I live. Marshall's and Trader Joe's have been the only remotely affordable stores for me to find it. When we visit Las Vegas, we always stop by Mexican markets for their cheap produce. Can't beat 10 cents a pound cucumbers or 6 lb for $1 oranges. I saw racks of these spices. This year when we visit (hopefully), I'll be sure to take another look at the spice prices and bring some back home. We shop at the 99c stores in Vegas too, and they carry spices in pouches for $1. I imagine Las Vegas is overflowing with Hispanic markets. Those prices that you've found sound unbelievable, but I believe you, as I've seen similar good prices at our ethnic markets. Yes, definitely, do price out the spices per pound the next time you're there. My guess is spices like ground chili (for making homemade chili powder) and cumin would be stellar deals. And the bonus is, they don't take up a lot of room (or weight) in suitcases! The prices were not "everyday", but loss leaders I'm sure. We shopped at Mexican markets to augment our diet of restaurant and buffet type meals. Now that we are older, we basically can eat only one good heavy meal a day, usually lunch/dinner. Breakfast consists of coffee, muffins and fruit in the room and late dinner also eaten in the hotel room is usually a veggie type sandwich. Some motels like extended stay and Best Western have refrigerators, but last year we got the routine down pat and decided it was worth buying a collapsible cooler bag from Walmart to keep our veggies fresh on ice (bought the disposable Ziploc containers to hold the hotel ice in the bag). Also last year, we were up in Vegas during American Express's Small Business Saturday (the day after Black Friday), and purchased lots of gift cards from a small chain of Mexican restaurants (rebated $30 per American Express card). That made the grocery absolutely free. We still have leftover gift cards for our next trip. Great deal on those gift cards, YHF! Those small, collapsable coolers are also great for day trips, to bring sandwiches (made in the hotel room), drinks and fruit for lunches. When you're done with lunch, they collapse small enough to fit into a daypack. Everything stays cool and lunch is just what you want, when you want it. In our regular grocery stores, the ethnic isle usually has more expensive stuff, I assume because it is imported. And I've never seen spices in cellophane or bulk. There are no ethnic grocery stores on any of my regular routes, so I don't shop there often. However, when I do stop, I go for the produce. It's not pretty, but it's cheap and just as good inside. well that's a bummer that your markets/grocery stores don't have the same sort of bargains that I've seen around here. there may be deals that you haven't really noticed, due to not needing that item, or not thinking to look for it. I am surprised that your markets don't carry cellophane bags of spices in the Hispanic section, but maybe being on the east coast, those sections are not as extensive as ours are out here in the west. In the Kosher aisle, though, at our grocery stores, are my all time favorite commercially-made cookies, sold for a song. They are Kedem Tea Biscuits. When I have wanted "my treat", that's what I buy. They sell for about 70 cents a package. In fact just a couple of years ago, I could routinely buy them for under that. I would tell my kids to buy me that for birthdays, or Mother's Day, so they wouldn't have to break the bank buying me a gift. The other bargain I find in ethnic aisles are cellophane bags of dried mushrooms, with the Asian foods. Several different types of dried mushrooms, and because they are dried, I only need to reconstitute what I need at a time, saving the rest for other recipes. So, when you travel next (aren't you planning a trip to the inter-mountain west? ), stop in some local Hispanic markets and check for spices sold in the bags I mentioned. They would be very lightweight "souvenirs" to carry home with you. I think you might be right that there's is more there than I notice although the international section is not more than 1/2 aisle. But I'll have to give it a better look next time I'm in the store. I may find something I really want. As I was writing these replies, I was thinking about when I was in college. I went to a college in a farming community in eastern Washington state. It was a very small town, with few shopping options, compared to what I grew up with in southern California. I stayed in that town for the summer after my first year, to work the asparagus and pea harvest. My roomies and I road our bikes everywhere that summer, finding off-the-beaten-track stores and restaurants. Being in a farming community, there were also a lot of Hispanic folks living there (working the harvest). It didn't take us long to discover "their" favorite markets and restaurants, where we always, and I mean always, got better bargains than in the "regular" stores and restaurants. That summer, I learned to seek out the ethnic markets, traveling a mile or two off my usual path, in search of the bargains. And now, I live in an area with many people who have come from Asia. We have a large Korean population, here, and their markets are also great for some products. Just for fun, my kids and I have gone into the local H Mart (Korean) to look around at their products. We can't read the labels, so it's fun to guess what's in the cans. The great deal I've found at H Mart is whole tapioca, sold in bags (not boxes like cracked tapioca sold in traditional supermarkets). I love tapioca pudding, so this is awesome for me. Finding these ethnic markets usually means looking outside the affluent communities. You won't find an Hispanic market in your local strip mall alongside your fancy-schmancy grocery store. In our area, these Hispanic markets line the major highway, in the less-affluent part of town, not a "bad" part of town, just not in the comfortable, well-landscaped shopping venues where affluence abounds. It would be very easy to overlook these markets, if it weren't for the shopping "lessons" of my youth. Korean markets where we live are not too cheap for the products we buy (except the pollock fish used in fish jun was a good buy)...and sometimes Sam's and Costco prices are better for oriental staples. You have to really do your price comparison, same with the Mexican markets. But I am glad you are endorsing ethnic market shopping, some of the best authentic homestyle cooking can be found in these markets as they always have a cooked food section. I regularly shop 2 ethnic markets. They are no close to my home, but they are close to each other. The Asian market carries foods from multi countries and it is a one stop Asian needs place. I find great deals there and find thing I can't find other places. The same goes for a local Latin market, which is huge and filled with produce I can find no where else. Again it carries products from Mexico, Central and South America so you can find just about anything there. 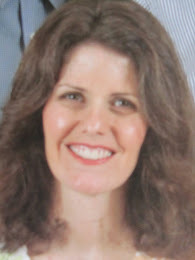 you bring up another good point for shopping some of those ethnic markets -- you can find specific items that your regular grocery store doesn't carry. One of my daughters wanted to make something that used corn flour, not masa harina, which I do have here. And we could only find the corn flour she needed at the local Hispanic market. It sounds like you have a couple of very good ethnic markets in your area. I just always assumed that with big name brands, you were paying for marketing, advertising, packaging and profits for the higher ups. But if there's anything else, please let us know what you find out! It is kind of fun to look at all of those items that seem foreign to my own cooking heritage.